Digital technology reshaped business models by bringing increased leverage to buyers. When it came to B2C models, customers armed with mobile devices, social media and ready access to the internet could research their needs, crowdsource opinions, compare solutions and make purchases whenever they felt. Dual factors of customer empowerment and economic urgency within the past decade spurred structural changes in B2C marketing and customer service aimed towards improving customer experiences and winning repeat business. The same trends that drove changes in the consumer market are also reshaping B2B models. Last year, Forrester Research predicted changes to B2B marketing and sales that included an increased focus on account-based marketing, the consolidation of marketing tech vendors, and greater concentration among marketers on the customer lifecycle and individual customer contexts. 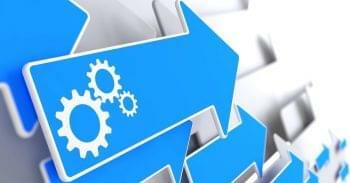 The marketing automation industry has already seen notable acquisitions of marketing platforms, such as Oracle’s acquisition of Eloqua and Salesforce’s acquisition of Pardot. One major takeaway from the Forrester report is that B2B marketers will need to direct more talent and resources to appealing to the individual contexts of B2B buyers. Marketers and salespersons who successfully merge data and insights with specific use-cases of individual prospects will succeed more than those reliant on lead qualification criteria in the sales funnel. This adds a layer of complexity to the traditional sales funnel in which the roles of marketing and sales become increasingly blurred, with marketers becoming more involved in the after-purchase experience of customers. 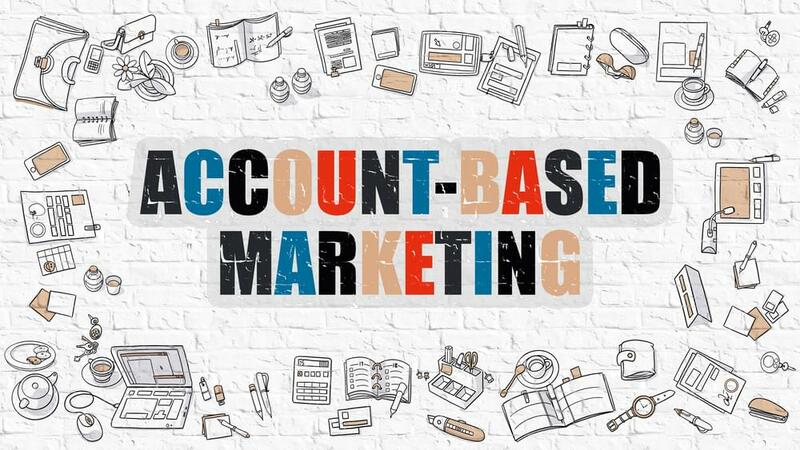 Account-based marketing is on the rise, but traditional marketing and inbound marketing will still be in effect. Existing models of lead qualification will still apply – but there will be a more human touch across the board. Lead qualification criteria, which evolved as a practice from the BANT sales criteria espoused by IBM in the 70s, still serves an effective role in determining which prospects most resemble your target or ideal customer. The BANT criteria itself – Budget, Authority, Need and Timeline – relate more to later stages of modern lead scoring, and there is more basic criteria that can be used to filter out unqualified leads before they reach that point. There are some starter questions for lead qualification that you can ask before going to BANT. Is the prospect in your territory? A prospect must be located in a geographic region you serve. You may be able to make exceptions for significantly large new accounts but overcoming the logistical hurdles may not be in your ability or interests at this time. This is less relevant for web-based services, but even then, there are geographically-based internet restrictions or regulations you must consider. Do you sell to their industry? A salesperson would not rule out an unorthodox prospect but there is a deliberate correlation between your product or service and its target customers’ industry – that is, whatever business pain point your offering seeks to resolve. Certain services have broad business appeal – such as an online suite of business applications – but others are more restricted. A manufacturer of high-end automobile tires wouldn’t sell to a trucking company because 1) there is little overlap between the buyer’s needs and the product’s specifications, so their business pains likely wouldn’t be resolved, and 2) if sold, the buyer may turn out to be an ineffective evangelist, which could detract from the brand over time. What is the size of the prospect’s company? Your needs might include selling a minimum number of items per order. Your product or service might be specifically designed for large enterprises or small to midsize businesses. Too small of a company might limit their use case or their budget. Does the prospect meet your buyer persona? You might weigh additional data points in relation to your own industry, product or service, company size, business needs and other factors. Budget – A prospect must have the budget to afford your product or service, regardless of their interest. Their ability to invest in your solution allows you and them to determine their potential ROI. Moreover, if they’re investing elsewhere to solve a problem your service can address, you can make propose the resources are better allocated with you. These details are crucial for the conversation to move forward. Authority – A mid-level team member may be assigned to search for product solutions, and they’ll be the ones with whom you make contact but they aren’t the ones to whom you’ll sell. In absence of discussion with the person with buying authority, consider steering the conversation toward their interest: their goals, priorities, challenges, concerns, getting them on board. Ultimately the goal is to touch base with the individual with buying authority or get them to sign on, or you might need to reevaluate whether the current conversation should take place. Need – You’ll need to determine your prospect’s business pain points to evaluate whether your product is suited for them. This is in your interest, because selling a client an ill-fitted solution reflects poorly on your brand and yields poor return on sales and marketing investment. Identifying their challenge (its size and scope), how they’ve addressed it before, why their previous solution no longer works and why they feel your product or service is a solution puts your relationship with them in context. It also informs your sales team on which points to emphasize when closing the deal. Timeline – Obtain a sense of how rapidly your prospect needs their pain point addressed. If it’s very quickly, you must consider whether you’re able to deploy your solution in that timeframe. If it’s not as urgent, you can assume they are taking a deliberative approach in shopping for a solution, and may not be presently ready to buy. It’s fair to inquire whether they’re considering alternatives to your solution and their capacity for implementing the solution within a certain timetable. 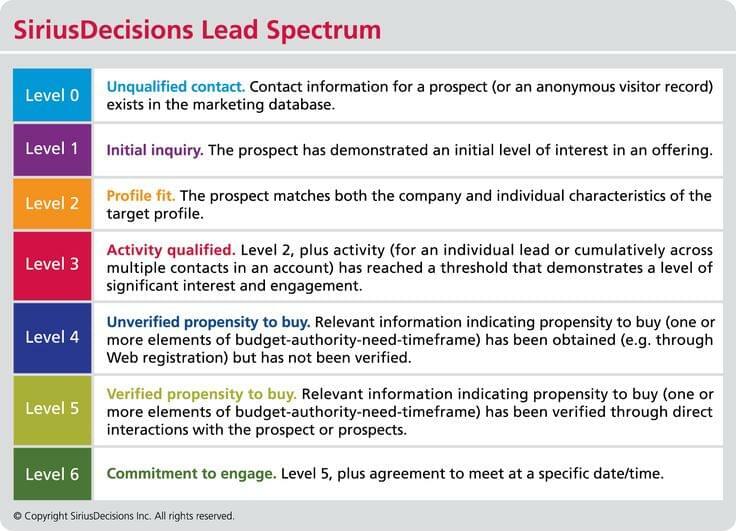 The following graphic indicates BANT’s role in the later stages of lead qualification, in which the criteria is used to distinguish qualified leads based on their propensity to buy. The BANT criteria is still relevant, but B2B business models have already evolved with the advent of new sales platforms, distribution models, marketing methods and lead qualification tools. This should come as no surprise – the original criteria was outlined in the 70s, and there have been groundbreaking innovations resulting in major shifts in almost every industry since then, particularly the digital technology, social media and mobile devices mentioned above. Account-based marketing isn’t new; it’s historically been the hallmark of enterprise-level sales organizations dealing with high-level individual contacts in large buyer organizations for whom every iota of contextual knowledge translates into tangible business value. The BANT criteria described above is used by smaller organizations to streamline the sales process in accommodation of the need for a higher volume of smaller-value sales. The Forrester report referenced above portends a shift away from traditional reliance on BANT-like criteria and ‘wide net’ lead generation strategies, but for companies who haven’t yet developed a network of high value accounts, this old-but-new approach toward marketing will appear more as an overlay of account-based marketing principles over the lead qualification aspect of the sales funnel, while promoting close alignment between marketing and sales and increased marketer involvement in the post-purchase customer experience. What Are the Goals of ABM? Increasing account relevance. Engaging an account on a contextual level – considering their goals, plans, challenges and urgency – opens up opportunities for cross-selling and upselling. This is also the foundation for an ongoing client relationship, which requires less marketing resources than acquiring new accounts and ensures steady revenue. Therefore, each account becomes more relevant to your company goals. Engaging deals earlier at a higher level. As the internet, social media and inbound marketing make many B2B sellers commoditized, the importance of engaging opportunities at a high level early on with a smart, contextual approach cannot be understated. It can make the difference between closing the deal or getting edged out by a rival who made their impression first. Maximizing marketing ROI. Aligning marketing resources with individual account strategies generates clear justification for every dollar spent. Prioritizing allocation of marketing resources by account also allows for clearer attribution, which provides a basis for strategy adjustments to maximize marketing ROI. Inspiring customers with predictive solutions. An important part of modern account-based marketing is building brand distinction by anticipating client needs before they ask for them. 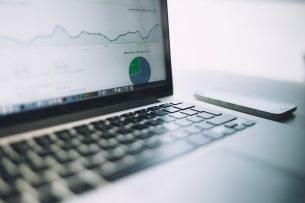 Predictive analytics that account for client history, industry trends, seasonality and market shortages can impress clients and promote brand evangelism. 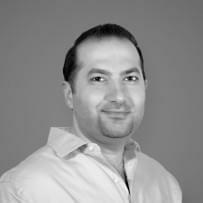 This attracts new leads and reinforces the existing client relationship. Implementation of an account-based marketing strategy requires an organized process through which your team’s resources and efforts are aligned and complementary rather than redundant, disjointed or tangential. A list of procedures can guide the development of your framework. Create a methodology for selecting accounts. This might be done in several ways. Your marketing team can build out criteria similar to what’s used for lead qualification – industry, revenue, location, tech use, number of employees, customer base, use of competing products. Like with lead scoring, weigh each criterion accordingly and segment prospects within each criterion according to sub-criteria – for example, you prioritize accounts that originate from the U.S. northeast with between ten to fifty employees, but you can engage accounts anywhere within the continental U.S. under more restrictive parameters. Build a list of prospective accounts. Using your criteria, build a list of accounts from your CRM database or prospects obtained through digital marketing. Evaluate accounts you’ve lost to see if there’s an opportunity to win back their business. Tap your salespeople for their own target accounts prospects – they may have prospects for intangible reasons not listed in the CRM. Vet accounts through joint marketing and sales sessions. Organize stakeholders from each team to build consensus on key accounts. You might segment accounts according to potential deal size, your current contact person, their existing role in your sales funnel. Clients with whom you have a relationship are better candidates than top-of-funnel prospects, but the latter can provide an opportunity to test highly-specific account engagement methods. Research activity of target organizations along with relevant industry trends. Build an understanding of company pain points, recent industry trends and forecasts for industry developments. Also learn about the key people in your target accounts – there is an average of 5.4 stakeholders involved in any one B2B deal. Supplement your CRM data with lists of key executives at target companies. The process of gaining intelligence on target accounts is ongoing; while it begins after accounts have been vetted, it should continue throughout your relationship with the account. Dedicate resources toward target account engagement. Set up a system of alerts (Google Alerts, for example) to notify the related personnel of any changes or key events affecting the target account. Target a few pieces of high quality content tailored to the account’s needs during different stages of the buyer’s journey. Plan touchpoints – including offline events or outreach – and incorporate them, along with the content, into the overall plan. A letter or postcard can stand out, especially in conjunction with outreach through typical digital channels like email, social media or curated blog content. Review. You will likely roll out your account-based marketing strategy piecemeal. Review your progress with your initial accounts and compare it to results from your typical marketing efforts. Compare budgets (your ABM budget includes cost of developing content, research, contact discovery, advertising), milestones, closed won deals over a period of time. If your ABM strategy is underperforming, consider where you found shortcomings and revise your framework so contacts, accounts, research and team alignment produce the high-level relationships this type of marketing requires for success. 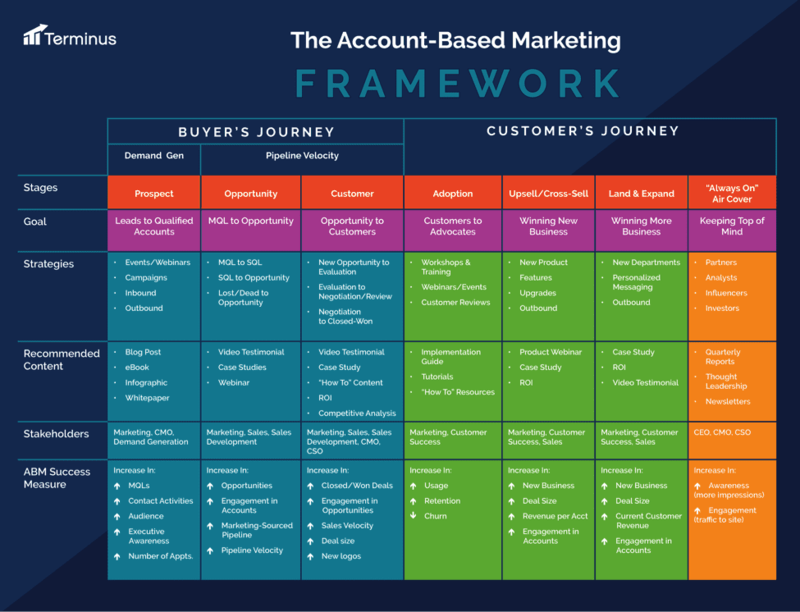 The following graphic provides strategies for advancing an account through successive stages of the B2B customer journey, insight on the types of content suitable for each stage, stakeholders in the account relationship over time and metrics by which to measure account engagement success. Account-based marketing builds upon relationships with high-level contacts within an organization – ones with decision-making authority – to cross-sell, up-sell or gain incremental business through brand advocacy. Rather than casting a wide net, you seek out and target the most likely prospects. Therefore, in order to distinguish yourself among competitors in an era where the internet and digital tech commoditizes B2B sellers, you’ll need to make those relationships meaningful and productive. You need to impress the prospect with your knowledge of their business, your commitment to their success, while also discerning their specific pain points by which to contextualize potential contributions of your products or services. While we can’t always determine our initial contacts within the organization, we can frame our engagement in terms that demonstrate clear room for added value, so that we can further the conversation to include contacts with buying authority or they are brought in by our initial contact. Goals – Find out what your prospect is aspiring to do within a timeframe (quarter, year, multi-year period). This might include their top priorities, such as product rollouts, revenue goals, expansion into a region or product space. You can build rapport on a personal level but in the early stages it’s best to keep the subject matter pertinent to the business relationship. Plans – Get a sense of how they intend to pursue their goal, and how your company factors into whatever strategy they will implement. If their business pain has existed for some time, inquire what their previous plans were to address it, how the source of the pain arose, why the old plan wouldn’t succeed now or how they think your solution is a better, longer-term fix. Learn what makes them think their plan will succeed, whether they have a backup plan, and listen for red flags that sound like they’re displacing blame for past failures on foreseeable circumstances. You don’t need to poke holes in their plan anywhere you can, but add value to the conversation by asking if they accounted for certain externalities, whether they have enough resources to implement the plan, and if they’re open, share experiences about past clients who faced similar challenges or implemented similar strategies, if you have them. Obviously don’t breach any NDAs! Challenges – Identify the chief hurdles your prospect faces or will face in implementing their plan. If there’s a challenge they’ve been unable to overcome for some time (most likely related to their pain point) this will allow you to privately evaluate whether their plan and your solution would be able to resolve it. Again, feel free to offer your recommendations if you feel the prospect is open to hearing them. Ask them how they would adapt their plan if they felt it wasn’t yielding the results they desired in the timeframe they needed. Stakes – Learn what’s to be gained or lost if the prospect succeeds or fails to reach their main goals. Is this an existential issue for the company? How would either outcome affect them personally and professionally, e.g. would they gain more resources or a promotion for success, could they face demotion or termination for failure? Of course, tread carefully on these issues, but getting the answers would give you a sense of their own buy-in. Timeline – You remember this one from BANT. Reevaluate their timeframe in context of what you learned. Learn how soon your prospect is interested in choosing a solution. Beyond that, the timeline by which the prospect needs to see results, their milestones for plan implementation, where other priorities fall within this timeframe, and so forth. 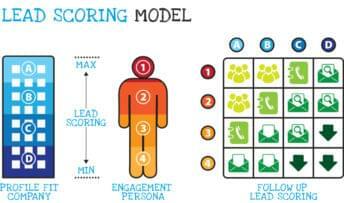 Evaluating these criteria is an essential element of account-based marketing. A talented marketer or sales rep – or both, working in close alignment – can obtain a complete picture of a prospect’s circumstances, goals, intentions and chances of success. This doesn’t merely set the groundwork for a closed sale – rather, it builds the foundation for a long-term, mutually beneficial relationship. Account-based marketing isn’t new; in fact, in recent years it’s attracted numerous vendors offering the latest innovation in marketing technology. The Forrester report predicted these vendors will consolidate to produce more mature, refined account-based marketing features – this will likely aid in scoring accounts by criteria, scouring your CRM and public records for quality accounts and building lists of contacts. Talented marketers and salespersons will play critical roles in forging, sustaining and building on relationships with those contacts. Account-based marketing is no longer the province of the biggest fish in the ocean; rather, it has become the natural response to stand out in a field increasingly flat in the eyes of B2B buyers. B2B marketing technology and customer engagement will shift to accommodate it.